We are honored to have Albert A. 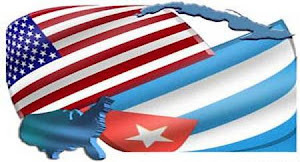 Fox Jr., join the U.S. Cuba Policy & Business Blog as a staff member and reporter/blogger. Albert A. Fox, Jr. is the Founder and President of the Alliance for Responsible Cuba Policy Foundation, a nonprofit organization formerly based in Washington, DC, and now headquartered in Tampa, Florida. Through his work with the Alliance, he has made 78 legal visits to Cuba in the past twelve years, under the belief that we should interact with the Cuban government as it is, not as we wish it to be. Al is a politically savvy U.S. Cuba policy expert. Mr. Fox helped write the Trade Sanctions Reform and Export Enhancement Act of 2000(TSRA). Subsequently, Mr. Fox has participated in various negotiations resulting in U.S. agricultural sales to Cuba. He also assisted Rep. Jeff Flake (R-Az) in formulating the first successful lifting of the travel ban to Cuba in the House of Representatives during Congressman Flake's freshman term. The travel ban however still continues as it was never passed by both houses of Congress. Mr. Fox has served as a senior congressional staff assistant in both the United States Senate and the United States House of Representatives. We look forward to Al's insights and reporting on the politics of U.S. Cuba policy, in Washington DC, Florida, and Havana.